Molybdenum plate are mainly used in plasma sputtering industry. With the electric field, electron is collided with the argon atom when fly to the substrate, then argon atoms and electrics are ionized. The electrics fly to the substrate while argon atoms accelerate to bomb the target, the neutral atoms (or molecules) in the target deposit on the substrate and become the coating. 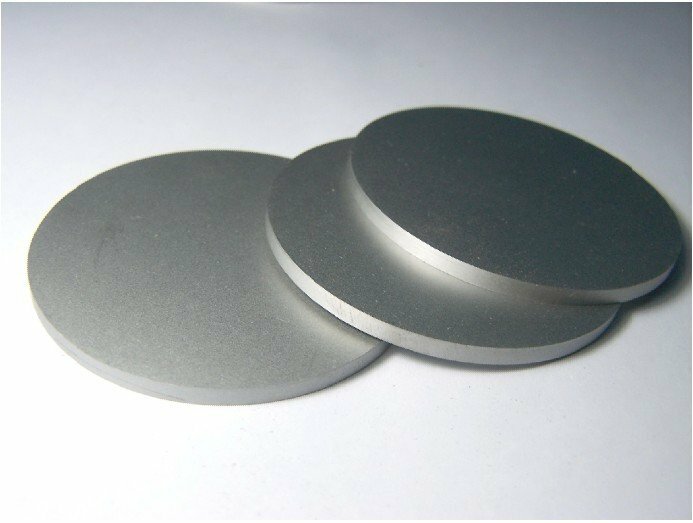 Molybdenum plate is mainly used in plasma sputtering industry. With the electric field, electron collided with the argon atom when fly to the substrate, then argon atoms and electrics were ionized .The electrics fly to the substrate while argon atoms accelerate to bomb the target, the neutral atoms (or molecules) in the target deposit on the substrate and become the coating. Since the molybdenum resistant to high temperature and corrosion, molybdenum targets are widely used in petroleum chemical industry, aviation, machine manufacturing, and electronics semiconductor industries and so on. We provide molybdenum target that made with molybdenum powder which purity is 99.95%. High quality products have been made after decades of procedures such as pressing, sintering, rolling, cutting and surface grinding. Super sputtering target (single heavy reach to 120kg) is available at present.